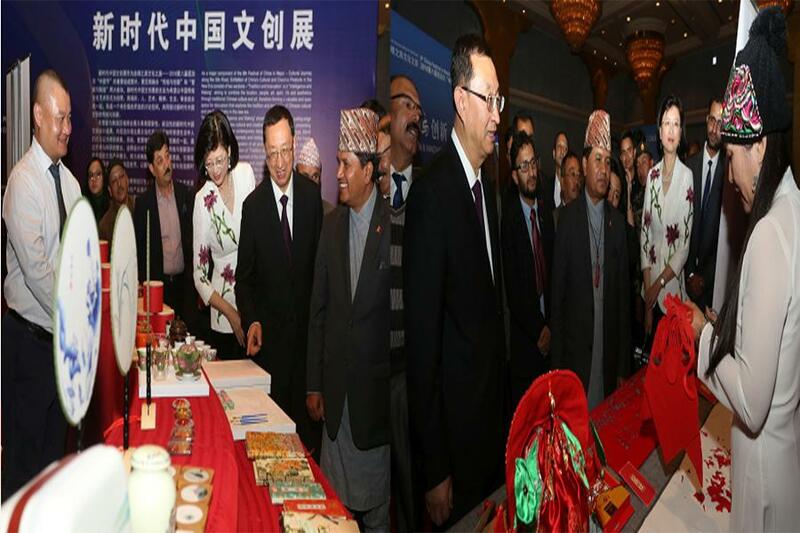 The event was inaugurated by Nepali President Bidya Devi Bhandari with the presence of visiting Chinese Minister for Culture and Tourism Luo Shugang and Nepali Minister for Culture, Tourism and Civil Aviation Rabindra Adhikari. The festival, which was initiated in Nepal from 2003, has been organized reflecting synergy and joint commitment of China and Nepal for cooperation and expertise sharing in safeguarding, promoting and managing cultural heritages. Addressing the opening ceremony, Luo said that the festival had been working as a bridge to deepen the cultural exchanges and cooperation between the two countries. Highlighting it as a Trans-Himalayan friendship, the Chinese minister mentioned that the Belt and Road Initiative had brought the two countries closer and boosted friendship between the two peoples. At the ceremony, Adhikari spoke highly of the age-old friendship between Nepal and China as well as China’s contributions and support for Nepal. “Nepal and China are linked with each other not just through geography, but also in cultural, historical and trade aspects,” the minister said. Mentioning that China’s method of preserving culture is inspirational to the world, the Nepali minister said that such events are important to share each others’ cultures. The festival presents Chinese specialties, culture and entertainment to the Nepali people to promote bilateral friendship and strengthen people-to-people relations. The festival was opened with spectacular ballet dance performed by artists from National Ballet of China. The evening gala featured eight high-standard performances, which won appreciation from the nearly 500 guests.